Last major update issued on August 12, 2008 at 04:55 UTC. The geomagnetic field was quiet to unsettled on August 11. Solar wind speed ranged between 558 and 687 km/s under the waning influence of a high speed stream from CH336. 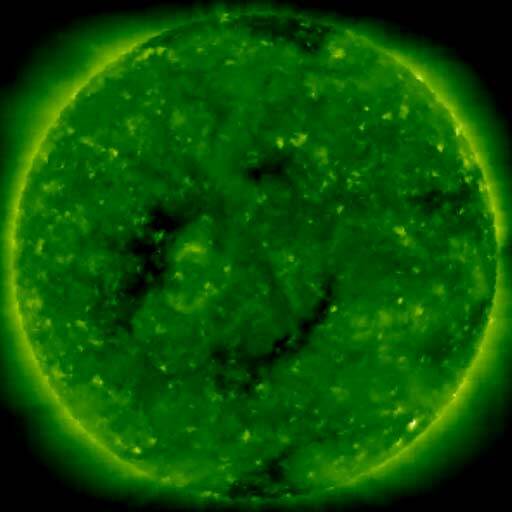 Solar flux measured at 20h UTC on 2.8 GHz was 65.7. The planetary A index was 7 (STAR Ap - based on the mean of three hour interval ap indices: 6.8). Three hour interval K indices: 32112212 (planetary), 33222222 (Boulder). August 9-11: No partially or fully Earth directed CMEs were observed in incomplete LASCO imagery. A recurrent coronal hole (CH337) in the southern hemisphere was in an Earth facing position on August 11, while a recurrent trans equatorial coronal hole (CH338) will likely reach a potentially geoeffective position on August 14-15. 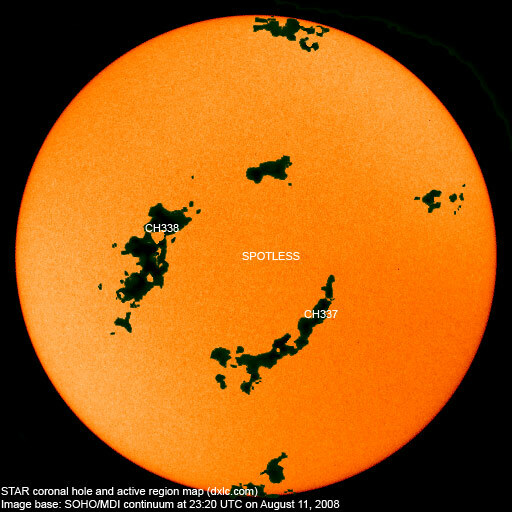 The geomagnetic field is expected to be quiet to unsettled on August 12 and quiet on August 13. 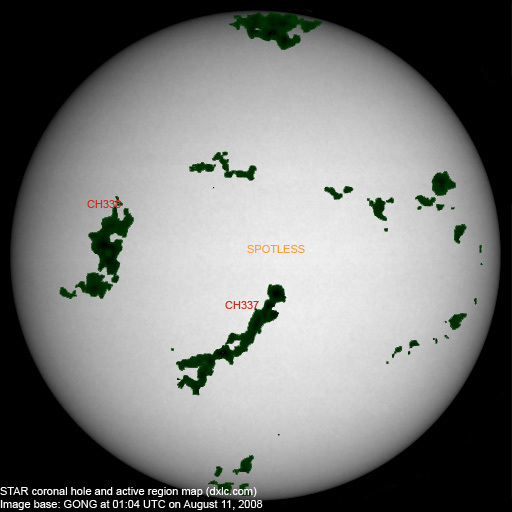 Quiet to unsettled is likely on August 14 due to weak effects from CH337.